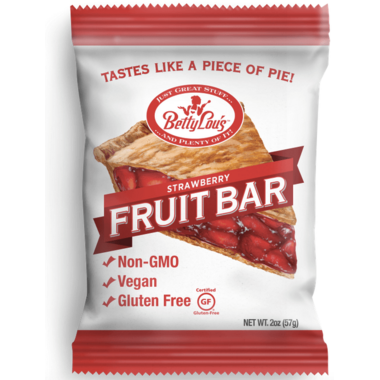 View all products by Betty Lou's Inc.
A delicious strawberry gluten-free all-natural snack with the taste of homemade baked cobbler! All sugars come from natural fruit and fruit juice. Both kids and adults will love them! Ingredients: Strawberry Filling (Fruit Juice Concentrate [Pineapple, Peach, Apple, Pear], Apples, Tapioca Starch, Strawberries, Natural Flavor, Water, Citric Acid, Red Beet Juice Concentrate for Color, Locust Bean Gum, Pectin, Red Cabbage Extract and Annatto for Color, Rice Flour), Oats, Gluten Free Flour Blend (Potato Starch, Brown Rice Flour, Sorghum Flour, Tapioca Starch), Brown Rice Syrup, Grape Juice, Dietary Tapioca Fiber, Safflower Oil, Guar Gum, Xanthan Gum, Sea Salt, Cinnamon, Leavening (Baking Soda), Ginger. 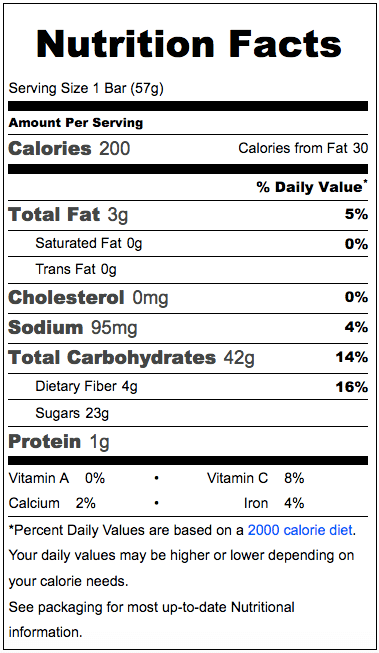 Allergen Statement: None of the 8 major allergens defined by the FDA. 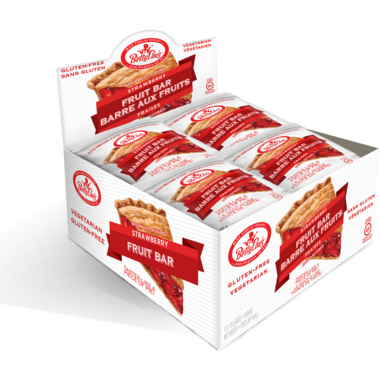 Manufactured on equipment that also processes peanuts, tree nuts, soy, egg, and milk.